About two months ago, I went to Marine Park Nixe, so I thought I'd post some of photos I took from that. My first aquarium visit in a while. This was in winter, so it was almost entirely tourists there. 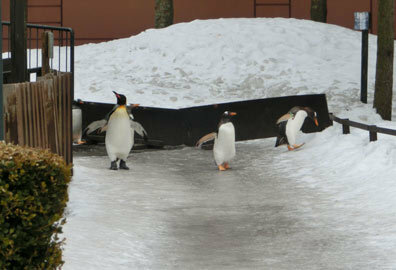 First off, I took pictures of the penguins walking. Since it was still winter, the road was cold and slippery. 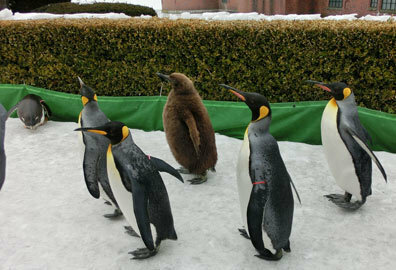 But the penguins seems to get on fine. I believe there were three kinds. 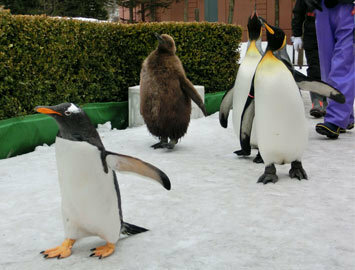 Gentoo, King, and one other which I forget. 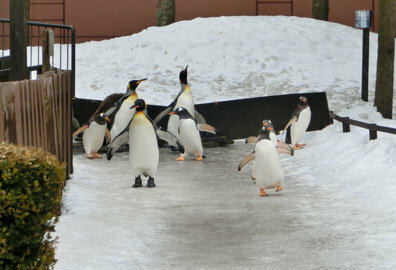 The small ones were peppy and curious, and took all kinds of detours. 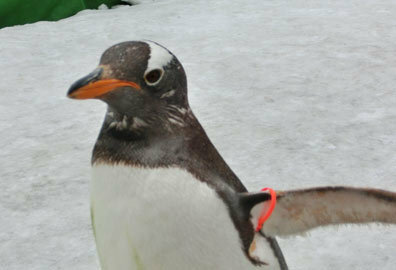 A penguin who came up very close. 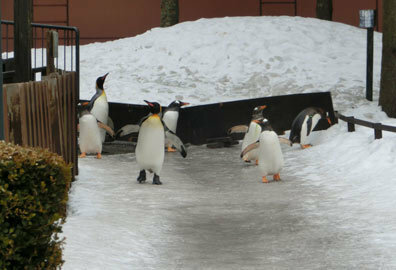 They were a cute bunch of tottering penguins. 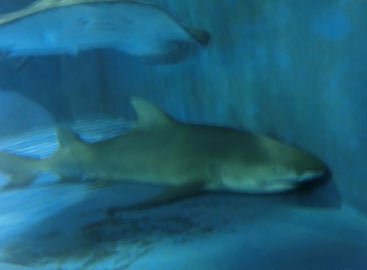 Besides that, I saw the dolphin show, sea lion show, sardine show, all that stuff, but didn't take any pictures. Also, for some reason there was a turtle building, where there were turtles, snakes, tarantulas, and even cockroaches (!). As you might expect, I didn't take any photos of the spiders. And it was my first time seeing a cockroach. I suppose they are kind of gross. Pulling myself together, I headed into Nixe Castle. 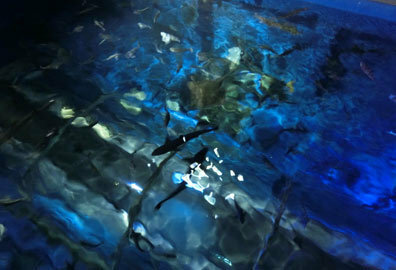 The inside is the aquarium. 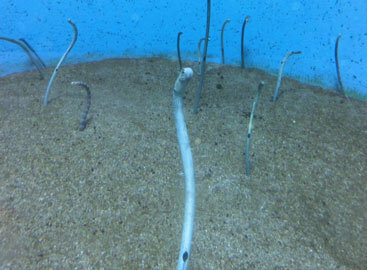 Swaying garden eels. Wanna just pull them out of the ground. 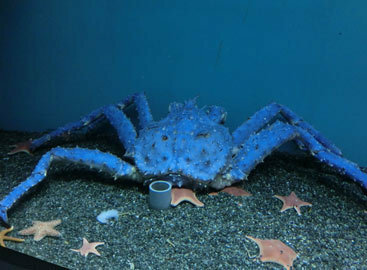 A lavender-colored crab. A rare sight. By the time I entered Nixe Castle, it was about an hour until closing, so it was almost totally booked. Yaaay. 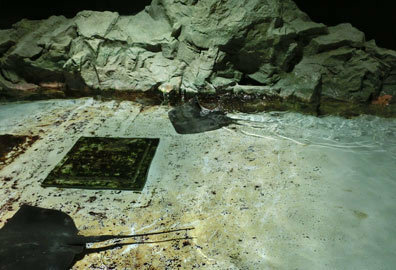 Over in the stingray section, this ray was swimming with its fin (?) hitting the rock! In fact, several were. 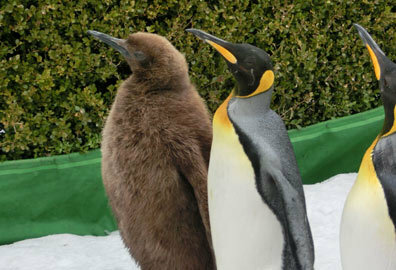 Are they trying to scratch an itch? Now then, the super-huge fish tank thought to be the highlight of Nixe Castle. 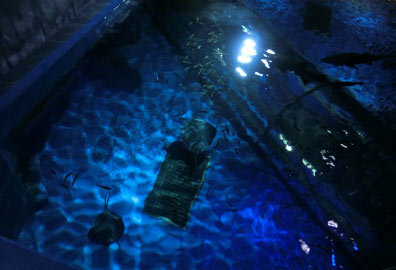 Taking the elevator to the second floor, you can look in the tank from above. 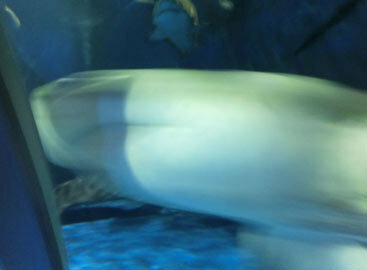 There were lots of giant rays and sharks, and I was all "Oohhhh..."
Children are warned not to lean over and fall in. And if you drop a camera or cellphone, that's the end, my friend. I feel like the photos from this tunnel are pretty famous. 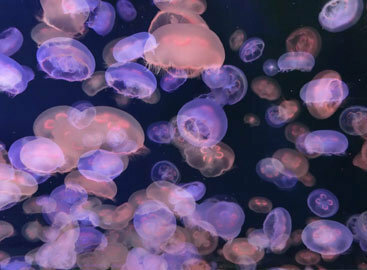 Lastly, the soothing jellyfish section. 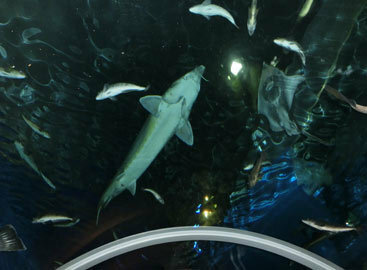 These too were floating about in large number in the giant tank. Very pretty in the changing color of the lights. 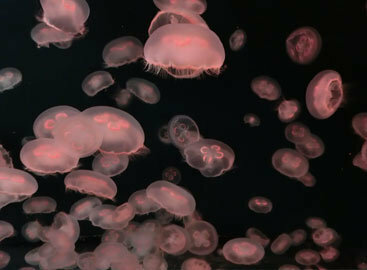 They drift so peacefully, perhaps one could heal a troubled heart by watching jellyfish all day. 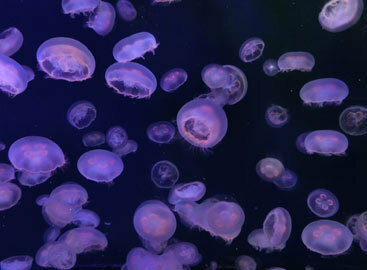 It's silly, but while I was editing the jellyfish photos, I messed up and changed the picture mode, but they ended up looking pretty nice fused together, so here it is. Here's what happens with "Screen." I guess it's an effect. On my way home, I saw a sea monkey capsule machine which tempted me, but I had no 100-yen coins. Also, I bought a lot of souveniers and shark merch, so I'll post those later if I feel like it.